What future for the energy transition? From the 22nd to the 24th of January, the European Energy Transition Conference took place in Dunkirk. This 20th edition opened by François de Rugy, Minister of Ecological and Solidarity Transition, put territorial strategies and challenges at the heart of the workshops, debates and meetings it featured. 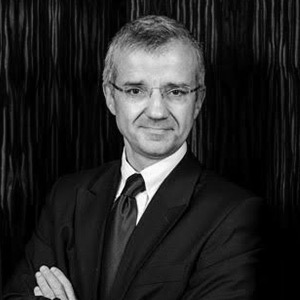 Patrice Geoffron, specialist in network industries, is Director of the Centre of Geopolitics of Energy and Raw Materials and Professor of Economics at the University of Paris Dauphine. He participated in the conference and reflects, for the Institut Montaigne, on the discussions that took place there. What were the main issues at stake at the European Energy Transition Conference held in Dunkirk from the 22nd to the 24th of January? From the outset, these conferences have had a very broad "spectrum": they aim at bringing together the actors of the transition (public authorities, companies, NGOs, etc.) and combine different approaches (low-carbon energy sectors, efficiency, mobility, sustainable cities, etc. ), making it difficult to identify the main issues. However, each edition is marked by the current events and the area in which it is held. This year, the territory was that of the Urban Community of Dunkirk, an area that is both very densely industrial and actively involved in circular economic initiatives. As for current events, it is obvious that the conditions from which the "yellow vests" movement emerged (initially in reaction to an environmental tax) and the opening of the great national debate (with the "ecological transition" as its first part) were shaping the discussions during this conference. In the context of the yellow vests, environmental taxation is subject to many challenges. Can regulation be more effective than taxation? My perception is that nothing should be excluded from the toolbox: stricter regulation on diesel rather than a tax would probably have had the same effect. Whatever the tools, if they put pressure on households that do not have the possibility of adapting their uses (by driving less, or changing vehicles), they can only produce misunderstanding, at the very least... As for France, a large sparsely populated territory in the European Union, these tensions on personal transport are necessarily more acute than elsewhere: Germany, Italy and the United Kingdom have population densities 40 to 60% higher than France, which raises different issues for transportation (as well as the proximity of public services, another subject of demand). It seems to me that we have lost sight of the big picture: our fellow citizens would probably be ready for efforts if, for example, in parallel with an increase in carbon taxation, a particular effort had been made on renovating housing. In this case, the effort made on fuels would have found a "visible" counterpart. This implies that, until then (and despite more than ten years of debates inaugurated by the first Grenelle in 2007), the interest of our fellow citizens in the energy transition has remained very "theoretical". Since, in the end, it is a matter of reducing an import bill for oil (essentially) and gas which weighs around EUR 50 billion (around 2% of GDP, and as much in environmental costs), it seems to me that there is room to convince: a community that imports almost 100% of its oil and gas has an interest in transforming this dependence into added value and local jobs. Is cooperation on a European scale realistic? Europe is not designed to foster large industrial cooperation, particularly in the field of energy. The "Airbus of Energy", sometimes referred to, is a pleasant but unrealistic image: since the Treaty of Rome, each Member State has kept control over its own mix. However, the EU would probably benefit from removing low-carbon investments from the calculation of public deficits and debts. If Europe, a pioneer in the fight against climate change and architect of the Paris Agreement, wants to entrench its industrial leadership, it must align its public accounting with its ambitions. Competition with China and the United States (even outside the Paris Agreement) is already very strong. The International Energy Agency (in its latest World Energy Outlook) indicated that, of the 2,000 billion annual investments in the energy sector worldwide, 70% are driven or supervised by governments (directly by public entities, in the form of guaranteed tariffs, subsidized loans, subsidies, etc.). In other words, poorer states are losing their ability to accelerate the transition and are struggling to achieve the EU's collective objectives.